Three 100-MW solar power projects were inaugurated by Union Minister for Finance, Railways and Coal Piyush Goyal. The solar power projects erected at Thoppalaakkarai and Sethupuram in Virudhunagar district and Sellaiya Sezhiyanallur in Tirunelveli district at a cost of ₹ 1,302 crore, which include operation and maintenance cost for 15 years, were dedicated to the nation by the Minister in the presence of S. K. Acharya, NLCIL CMD. The power produced from the units would be given to Tamil Nadu Power Generation and Distribution Company (Tangedco) at a cost of ₹4.41 per unit. ‘Future India: Science & Technology’: With the theme of ‘Future India: Science and Technology’, the 106th Indian Science Congress will be held at Lovely Professional University (LPU), Jalandhar, Punjab. The five-day Science congress from January 3 to 7, 2019 will be inaugurated by Prime Minister Narendra Modi. The Indian Science Congress Association (ISCA), a premier scientific organisation of India, organises Indian Science Congress every year in the first week of January. In order to protect the interest of domestic oil seeds growers and processors, the Centre today raised the import duty by 5-10 per cent on non-palm edible oils, both crude and refined ones. The Central Board of Indirect Taxes and Customs (CBITC) has increased import duty on crude soya bean oil from 30 per cent to 35 per cent, while that on refined soya bean oil from 35 per cent to 45 per cent. Prime Minister Narendra Modi accompanied by the Chief Minister Raman Singh, dedicated to the nation the Integrated Command and Control Centre (ICCC) set up at Naya Raipur – the upcoming capital city of Chhattisgarh. The centre will control and monitor online water and power supply, sanitation, traffic movement, integrated building management, city connectivity and Internet infrastructure (data centre). The command and control centre will be managed through a GIS (geographic information system) platform, where residents can register their complaints regarding service dysfunction through helpline numbers, an official said. Every year, on 14 June, countries around the world celebrates World Blood Donor Day. The event, established in 2004, serves to thank voluntary, unpaid blood donors for their life-saving gifts of blood and to raise awareness of the need for regular blood donations to ensure the quality, safety and availability of blood and blood products for patients in need. The theme of this year’s campaign is blood donation as an action of solidarity. It highlights the fundamental human values of altruism, respect, empathy and kindness which underline and sustain voluntary unpaid blood donation systems. Be there for someone else. Give blood. Share life has been adopted as the slogan.World Blood Donor Day is one of eight official global public health campaigns marked by the World Health Organization (WHO), along with World Health Day, World Tuberculosis Day, World Immunization Week, World Malaria Day, World No Tobacco Day, World Hepatitis Day, and World AIDS Day. International Yoga Day on June 21 will be celebrated by the National Security Guard (NSG) and the Border Security Force (BSF) by organising various activities. A statement issued by the Home Ministry said that the BSF has planned to celebrate the day at Chhawla Camp, Delhi. The NSG will organise a yoga session at NSG stadium in Gurgaon’s Manesar. 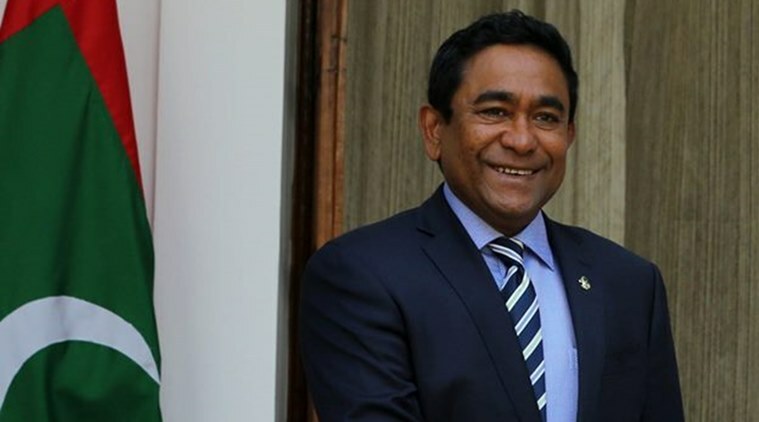 When Maldivian President Abdulla Yameen ordered an emergency, which was strongly opposed by India, the Maldives Immigration Authority has reportedly held up thousands of work permits to Indians, since February. Despite the increasing numbers of desperate job-seekers, the Ministry of External Affairs (MEA) has refused to take up the matter publicly, and the Embassy of India in the Maldives (EoI) has replied to queries from the job-seekers by saying it cannot help. The Tamil Nadu government’s request to release the seven prisoners convicted for the assassination of former Prime Minister Rajiv Gandhi on May 21, 1991, has been rejected by the President Ram Nath Kovind on the advice of Home Ministry. Mr. Kovind conveyed to the government that “the Centre doesn’t concur with its view” to release the prisoners. In the last four years, the State government has written twice to the Home Ministry to pardon the convicts and release them on humanitarian grounds. Japanese SoftBank has decided to invest $60 billion-$100 billion in solar power generation in India. The company is expected to make the investment through a fund backed by Saudi Arabia’s government, which is the largest investor in SoftBank’s Vision Fund, which raised over $93 billion last year. SoftBank CEO Masayoshi Son may meet Indian Prime Minister Narendra Modi to discuss the deal. A US military official told Voice of America (VOA)-US government-funded media outlet-that a US drone strike targeted Tehrik-e-Taliban Pakistan chief Fazlullah. This isn’t the first time it has been reported that a US drone strike has killed Fazlullah. Fazlullah is also known as ‘Mullah Radio’ for his long and fiery sermons on pirate radio in Swat Valley, Pakistan. A tripartite Concession Agreement was signed between National Mission for Clean Ganga (NMCG), UP Jal Nigam and Triveni Engineering & Industries Ltd on June 13, 2018 for developing an Integrated Sewage Infrastructure for Mathura on the Hybrid Annuity-based PPP mode. An agreement was also signed between NMCG and Indian Oil Corporation Limited (IOCL) for the reuse of 2 crore litres treated sewage water per day by IOCLs refinery in Mathura. This is the countrys first Integrated Sewage Infrastructure project based on One City  One Operator concept, which means that the project integrates building of new Sewage Treatment Plants (STPs) and maintenance of the existing infrastructure under one operator for the whole city. Swajal Scheme has been launched by Ministry of Drinking Water & Sanitation in 115 Aspirational districts of India to provide clean drinking water. It will involve outlay of Rs. 700 crores through flexi-funds under existing National Rural Drinking Water Programme (NRDWP) budget. Swajal is community owned drinking water scheme or programme for sustained drinking water supply. 1. On which day International Yoga Day is being celebrated? 2. World Blood Donor Day, which is one of eight official global public health campaigns, is marked by which of the following organisations? 3. Where was the Integrated Command and Control Centre (ICCC) set up? 4. Which of the following organisations organises the Indian Science Congress? 5. Where were the three 100-MW solar power projects were inaugurated by Union Minister for Finance, Railways and Coal Piyush Goyal in June, 2018?